Ferrari has turned to turbocharging for the first time since the coveted F40 with the new California T, the replacement for the Italian manufacturer’s entry-level car, the current California. The engine obviously takes the headlines here, with the California T implementing a 3.8-litre direct-injection twin-turbocharged V8 which produces 552bhp at 7500rpm and a very useful 557lb ft of torque. Such figures enable the California T to perform a 0-62mph sprint in a mere 3.6 seconds all the way to a top speed of 196mph, which sees the new car have marginally improved stats than the one it replaces. With turbocharging in place, coupled with direct-injection, Ferrari has managed to get the California T to improve on fuel consumption by around 15 per cent and will return about 27mpg on a combined cycle. CO2 levels have been brought down by 20g/km with the California T emitting a reasonable 250g/km of CO2. 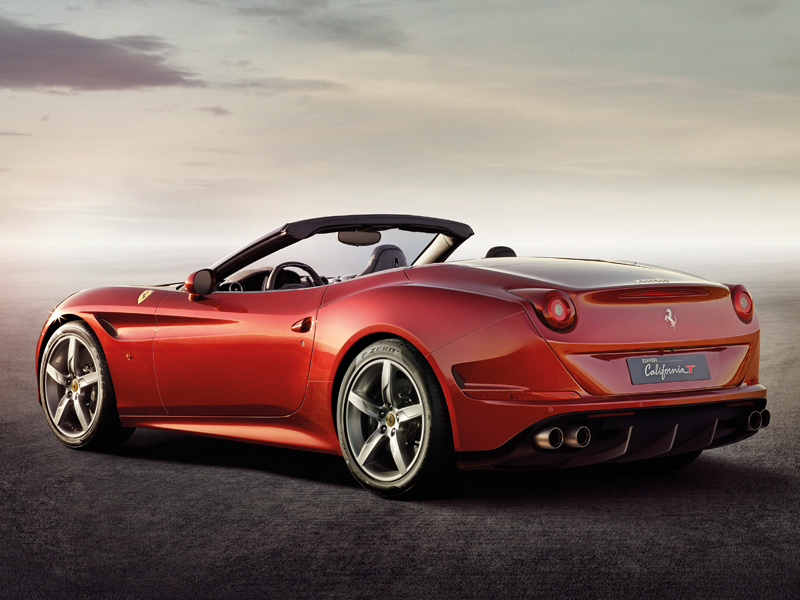 Turbocharging something as sacred as a Ferrari engine will also attract its critics, especially in regards to engine noise, but Ferrari insists the California T sounds “even more potent” than the current model. An upgraded crankshaft and exhaust manifold have apparently helped achieve this and spy photographers have reported that the test mules do indeed sound noticeably louder. Ferrari’s latest generation of ceramic brakes have been handed to the California T, enabling it to come to a standstill from 62mph in just 34 metres; meanwhile, an upgraded suspension setup that features new springs and the newest MagnaRide dampers gives the California T an added edge over what will soon become its predecessor. New styling elements inspired from both the F12 and FF keeps the California T looking fresh after what was a minor midlife facelift for the current California in 2012. Also, Ferrari says that the shape of the new car’s flanks is heavily influenced from the 250 Testa Rossa from the 1950s, while the rear gets a new diffuser but the convertible retains its clever folding hard-top roof. 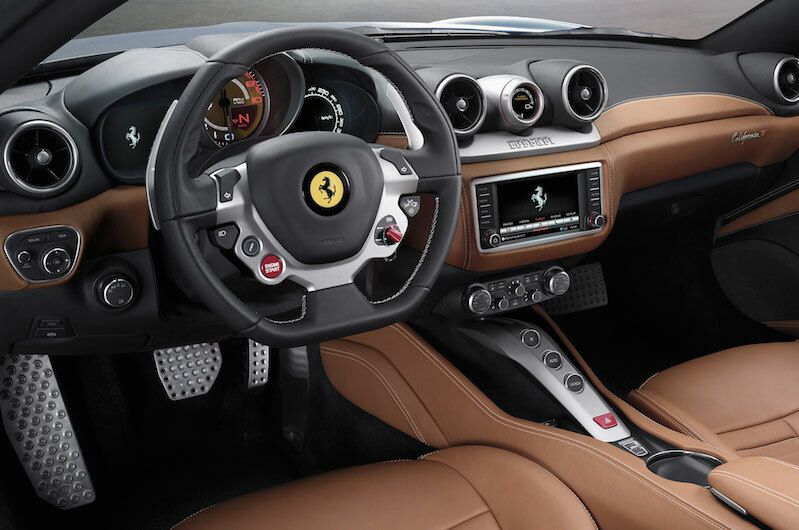 Ferrari has been making the inside the California T a little more exciting, with new leather trim, a 6.6-inch touchscreen infotainment unit and the intriguing Turbo Performance Engineer all being added. The TPE is a separate touch-controlled screen that gives the driver specific engine data. 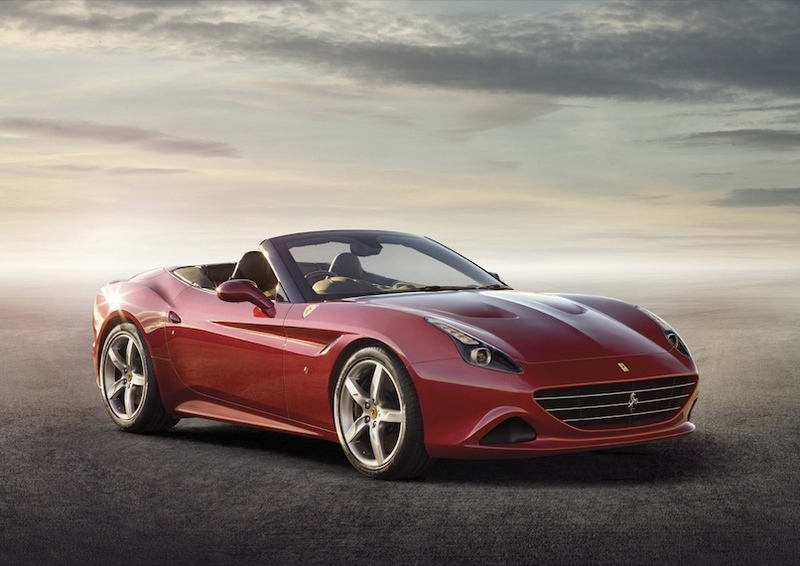 We will be seeing the Ferrari California in the flesh at this month’s Geneva motor Show, while the first UK deliveries are expected to go out to customers in September and will be priced in a similar region to the £152,000 asked for the current California.